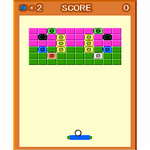 The submitted widget will be displayed with the tag [game]. With this funny little widget you can test how fast your brain can register images. 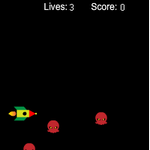 In this case, cute little animal characters are flashed very quickly on the screen and you have to select which one was shown. 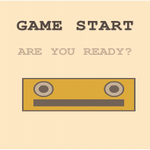 To begin, press Start and then Level One. After the image is flashed, click on the image you think you saw. As you clear each level, it gets harder and harder. A little addictive. Have fun! 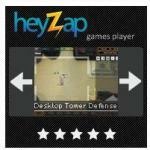 Put an enormous number of high quality flash games right on your blog with just one widget. Check out the site to see for yourself the wide selection. My personal favorite is Fancy Pants Adventures. My recommendation is to copy and paste the small code towards the bottom of the web page. Have Fun! Keep pressing the widget and eventually you'll start. The goal is to get your runner across the finish line. 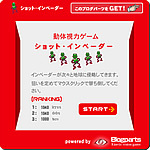 Some races you have to click furiously to get up a hill, in others you have to click to jump. You'll get the hang of it even without Japanese. To get the code, go to the widget's webpage. 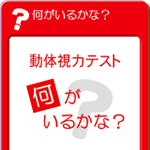 Above the red button [タグを発行する」, first choose a location (any is fine) and then enter a name you want for your athlete. 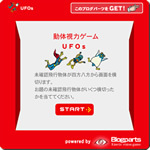 Then, click on the red button and the code will generate in the box below.